The 50th anniversary of the building of the Berlin Wall was last weekend, on August 13. Read my post about it and my experiences in East Germany. See more travel photos every Photo Friday at DeliciousBaby.com. I was only 9 when the wall came down, but I still remember watching the news the day the wall fell. A few years later a friend had an exchange student from Germany come and stay. She told us all about her experiences when the wall was up and how family that happened to be on the other side of the wall were trapped and couldn't get back over. Very powerful stuff. Thanks for sharing! Great Photo! 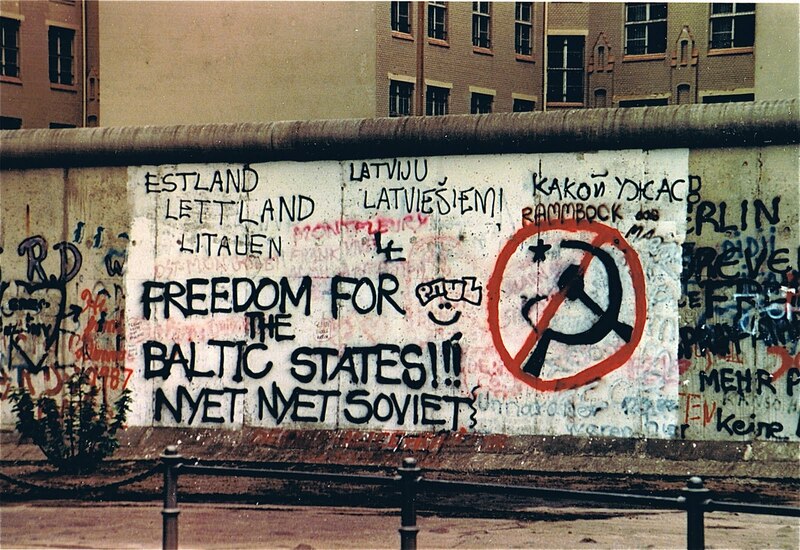 I enjoyed reading your post about East Germany earlier this week. We had friends who lived in Germany who would tell us stories about East and West Germany. Very interesting time! Such a powerful photo! And with a father who immigrated from Germany and only missed being assigned into the Russian sector due to his mother's vigilance, I can only say thank goodness it's gone.